The "Fastest Shoe on the Planet" is restocked today - November 1st! 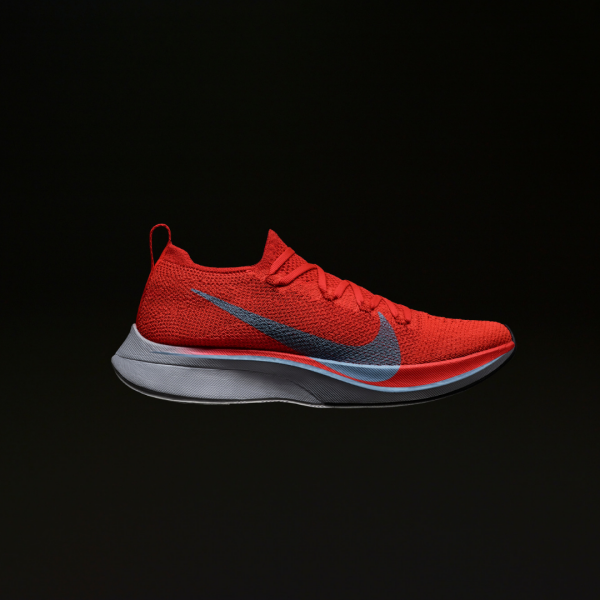 The Nike Vaporfly 4% Flyknit, the same shoe worn by Eliud Kipchoge during his world record breaking Berlin Marathon, is back on Fleet Feet Montclair's shelf today. Here is how the fastest shoe has been made even faster. All-new upper. Springy midsole remains unchanged. New Flyknit upper. Nike ups the ante adding Flyknit (even lighter and more breathable). ZoomX foam midsole. Nike’s “magic” foam. ZoomX is ultra-lightweight, soft, and capable of providing up to 85-percent energy return. Embedded full-length carbon fiber plate. Carbon fiber plate increases stiffness to provide a sensation of propulsion. *Pair not guaranteed. The earlier you call, the better your chances!